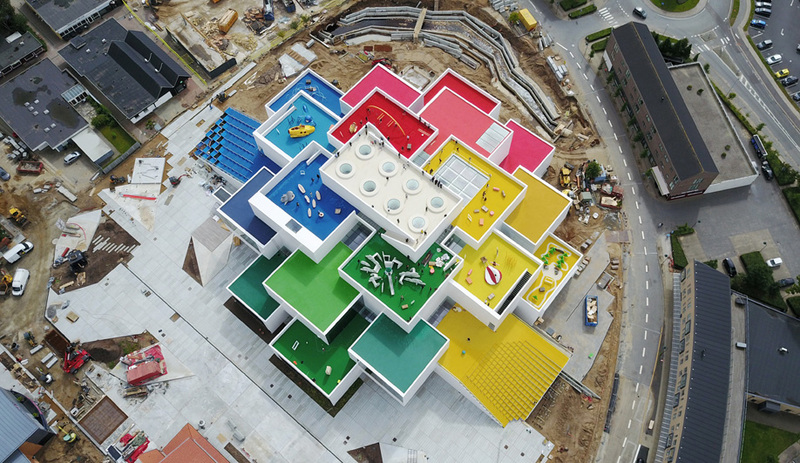 There is a certain inevitability to Lego House, the exuberant visitor centre opened this fall in Billund, Denmark. 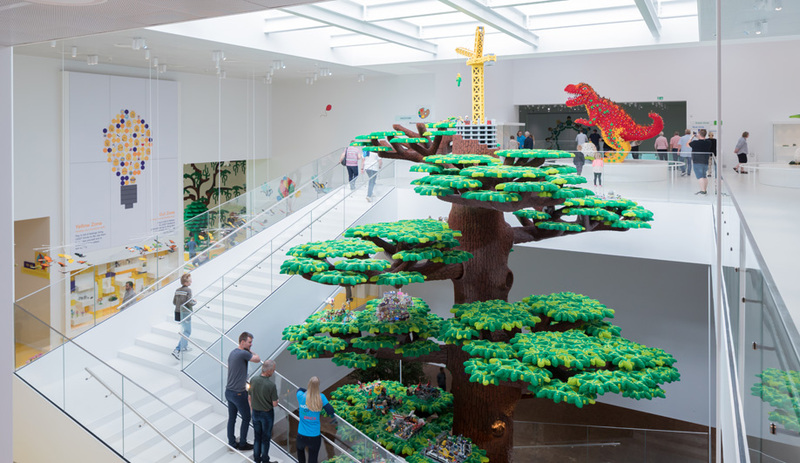 Billund is home to both Lego headquarters and the original Legoland: The office building’s dullness does not square with the brand that launched a billion creative careers, while the theme park threads rides and activities around do-not-touch Lego-brick masterpieces. 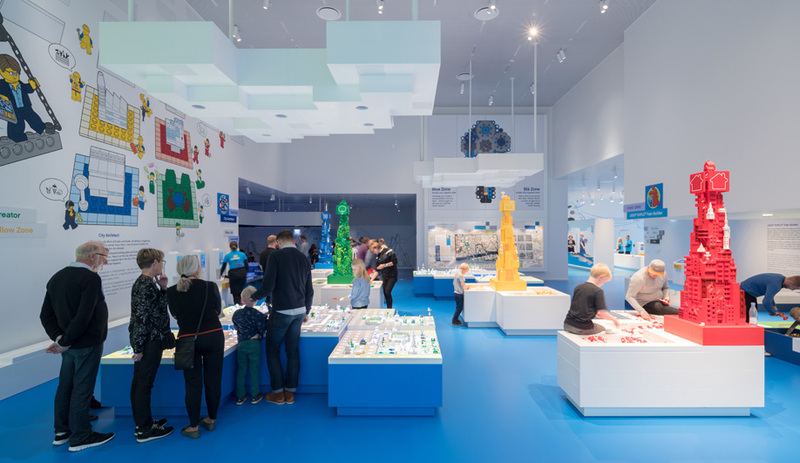 Lego House, by contrast, includes four colour-coded play zones devoted precisely to hands-on tinkering. 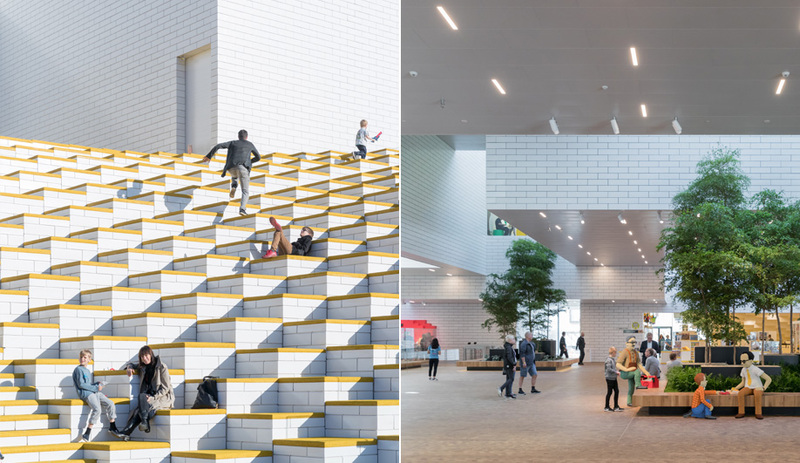 Its architectural pizzazz comes courtesy of Bjarke Ingels Group (BIG), which may currently be the only Danish export more popular than the ubiquitous plastic brick. 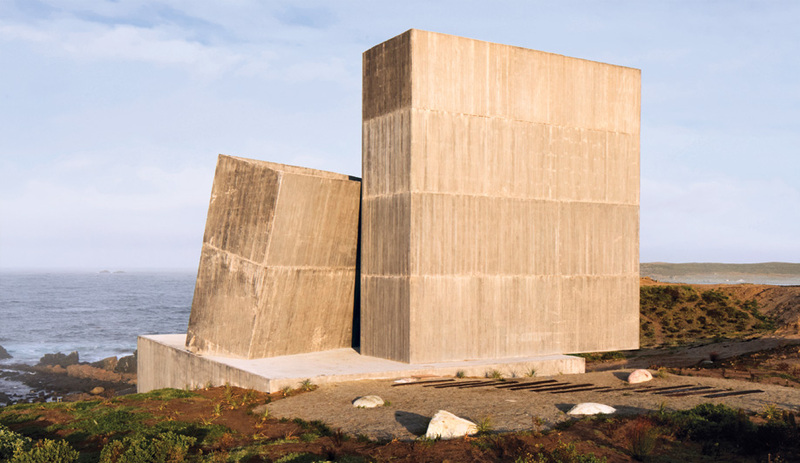 The new 12,000-square-metre building fills an obvious gap. Naturally, it bears some resemblance to a ziggurat of giant Lego elements. 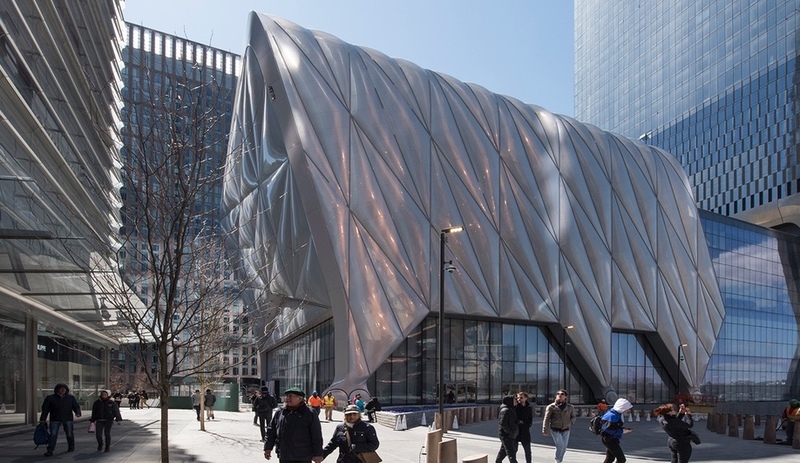 BIG submitted to the irresistible program by arranging restaurant, interactive-experience and gallery uses into a stack of 21 modules that terrace upward to the so-called Keystone Gallery. 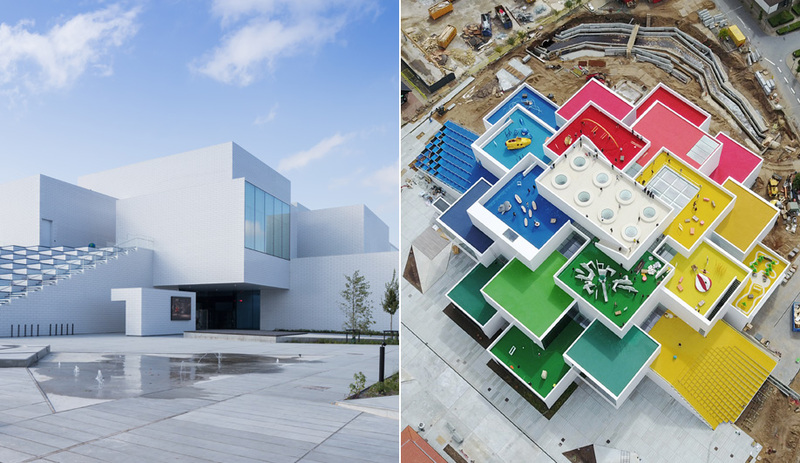 In fact, these volumes connect to a steel assembly, which spans the 2,000-square-metre Lego Square. The Keystone Gallery has the same proportions as a classic Lego brick, and its eight skylights resemble a brick’s studs. The other rooftops sport zippy hues that correspond with the play zones underneath. Yet Lego House is no toy. 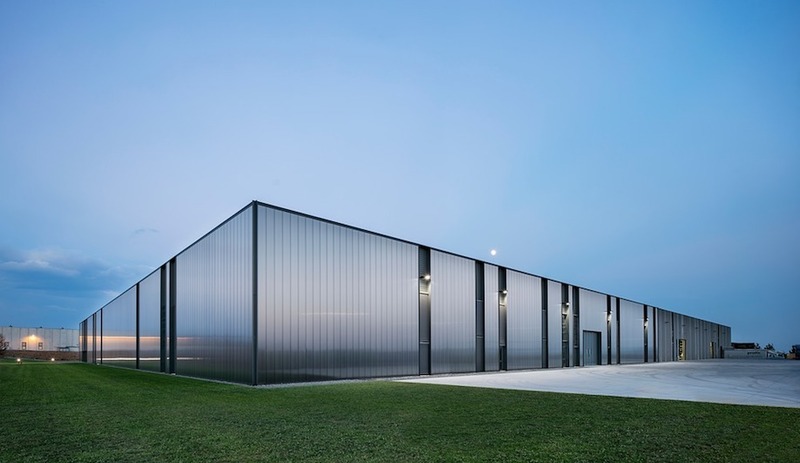 To the more than 6,000 citizens of Billund, for whom the 1.2-hectare site was once home to town hall, the everyday view of the complex that replaced it is a white-tiled cross between Habitat 67 and the Oslo Opera House. Only when residents ascend the two building modules described by BIG as “melted” – they are more reminiscent of Q*bert boards than of Lego topography – and explore the various tiers do the Lego shout-outs become underlined. 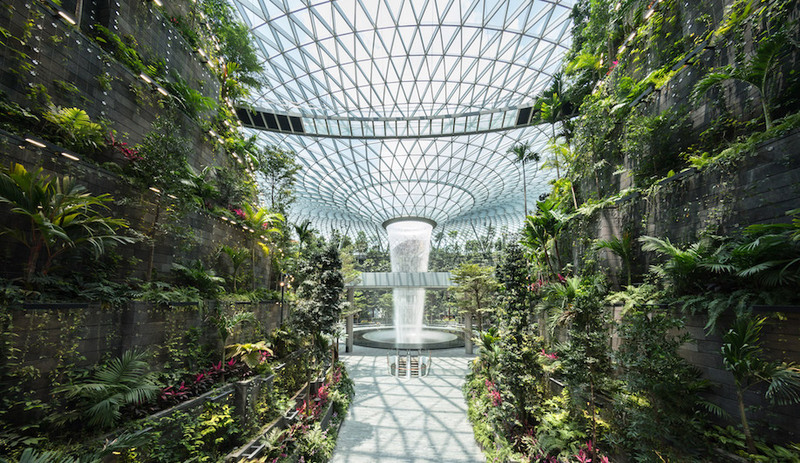 Importantly, the public is welcome to scramble over the building as well as take in performances from the stepped volumes or congregate within the interior plaza. Accessibility means immersion in overt references, but it’s also a gesture to folks who may now have to slog to nearby Grindsted for municipal services. There are more than 915 million ways to combine six 2×4 Lego bricks; the product is synonymous with individualism and universe making. So how to create a permanent, code-compliant homage to a plaything beloved for its changeability? For that matter, how could one design team earn the commission of a lifetime, while the rest of us must simply believe that, in the words of Emmet in The Lego Movie, “you are capable of amazing things…and so is everyone.” By balancing on the fine line between programmatic and abstract architecture, BIG simultaneously delights the senses and flatters your intellect.